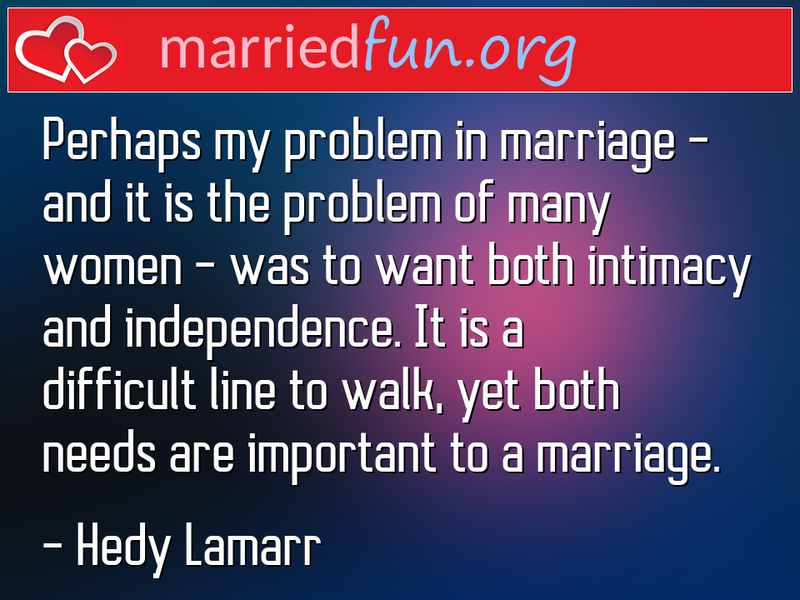 Marriage Quote - Perhaps my problem in marriage - and it is the problem of ... - Married Fun! Perhaps my problem in marriage - and it is the problem of many women - was to want both intimacy and independence. It is a difficult line to walk, yet both needs are important to a marriage.